These days, content is the engine that drives your business reputation and helps you make sales. But it’s not always easy to keep that content machine fully tuned up. Let’s face it: creating great content takes time and money. But if you’re a busy marketer or stressed out business owner, you probably haven’t got a lot of either to spare. That’s where content curation comes in. It’s collecting interesting information and sharing it with your audience, either as individual pieces of content or as a digest. And the best way to do content curation, as a digital marketer, is to use purpose-built content curation tools to help you do it. Content curation tools help you get all the benefits of publishing excellent content – WITHOUT having to create it all yourself. Plus content curation tools save you time, effort, and money. They make you into a museum curator for online content, showcasing the best items you find, and adding a little commentary to give it context. We’ve picked the best content curation tools we know, and have divided them into free, freemium, paid, and enterprise tools, and there’s a table of contents for convenience. Our list of free content curation tools starts with Flipboard. Flipboard lets you create your own digital magazine by combining updates from social feeds and news sources, so you can read it whenever you have time. Headslinger is another free content curation tool. With this app, you read and discover news by adding content sources, like news sites and blogs, to folders. As you do, Headslinger suggests related publications for you to follow. Then all you do is click on a folder when you’re in the app to see the latest updates on that topic. You can also favorite content and add it to a “slinglist” for so you can share it on social media from within the Headslinger site. Instapaper has been a major player among content curation tools for around 10 years. With this app, you can create an ad-free Instapaper website with content curated from the web and from some of the other curation apps on our list, like Flipboard. You can read your Instapaper online or on any of the mobile apps, which also allow you to read offline. You can also highlight and comment on content, adding your opinion to make curated content even more useful for your audience. Klout is best known as a free tool that measures social influence. But one way it helps you boost social influence is by recommending shareable content in the areas you’re an expert in. To use Klout, you’ll have to link your social media accounts to the site. Over time, Klout recommends topics that match your expertise, and related content your social media audience hasn’t seen, so you can share it and become more influential. Listly is a tool for creating and sharing lists. Lists are among the most popular online content, so it makes sense to include them in your content marketing strategy. With Listly, you can create lists in a few minutes by drawing on content from blogs, videos, Amazon, social media, photos and much more. You can also allow others to add to your lists, and share or embed lists on your site. When thinking about content curation tools, Medium probably isn’t the first app you think of. But curation is definitely one of the ways you can use it. That’s because Medium allows you to create publications around a theme, and have other Medium authors contribute articles to those publications. Medium has the advantage of having millions of users who are looking for new content to read, so it can be a great way to build an online presence. Though Medium is free, you can pay $5 per month for additional functionality, including the creation of an offline reading list. Nuzzel is a tool for automatically keeping up with what your Twitter network is sharing, but it also allows you to curate a newsletter by pulling in interesting stories, and adding your commentary. Readers can easily subscribe to your newsletter or share it via social media and Facebook Messenger. 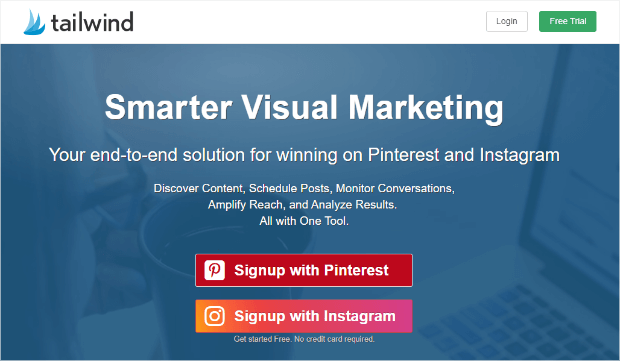 Pinterest is a visual social media site that works by letting users pin content to boards. Boards are collections of items around a theme and can be public, shared, or private. Content curation happens manually on Pinterest, for the most part. But since Pinterest is proven to drive shopping behavior, this curation tool can be an excellent way to improve conversions and sales. No list of content curation tools would be complete without including Twitter. That’s because Twitter’s lists function (explained in our article on Twitter lead generation) lets you create lists around particular topics and follow users tweeting on those topics. Then all you have to do is check those lists and retweet updates, or even share content on other social media platforms. There aren’t that many content curation tools focused specifically on video, but Vidinterest is one of them. It aggregates content from YouTube, Vimeo, and DailyMotion so visitors can search by topic and find relevant videos to share. You can also sort videos by the number of views, and can see what’s currently trending to keep your video marketing strategy up to date. YourVersion is a content discovery tool that automatically pulls together content from around the web based on the interests you specify. You can view these on the site, or get an email digest with the latest updates. It also makes it easy to share and bookmark that content, to give you something new to share with your social networks. Next, let’s look at some freemium content curation tools. Freemium means you can use them for free, but you’ll have a pay a fee for additional functionality. You’ll need to log in with Twitter to use Anders Pink. This content curation tool lets you create a briefing based on topics or sources. You can add filters or exclude sources during setup, or go back to do it later. Once you’re done, your dashboard will show you the top stories being shared on your topics and in your network so you can be part of ongoing conversations. To keep up to date, you can receive daily digests by email. Anders Pink also integrates with Slack so you can keep your marketing team up to date with curated content on topics of interest. The basic level of Anders Pink is free, though you’ll have to upgrade for more than 2 briefings and multiple users. Paid plans start at $9 per month. ContentGems says it’s a content discovery tool, allowing you to search for and follow topics and keywords to build your own on-screen digest of shareable content. With the free plan, you get a daily update of suggested content to share; this happens in real time on the paid plans. You also have to upgrade to monitor more than one Twitter timeline, and for integrations with social media sharing tools like Buffer and Hootsuite. Paid plans start at $99 a month. The next on our list of content curation tools is Content Studio. This allows you to follow your own custom topics or search for trending content in your industry. It also lets you quickly create and optimize social media updates for your accounts, including suggesting suitable hashtags and schedule these via your own content calendar. It also provides the option to use social media posts more than once, which is great if a post has been really successful. Content Studio has limited functionality in the free plan; paid plans start at $15 per month. A good tool for free news curation is Crate. It’s really simple to set up. First, identify the main topics you’re interested in, the people who share content on those topics, and the sites that create shareable content on that topic. Use them to create your own “crate”, or content list. Every time you log in, you’ll see the latest and best content on your topic, and can read or share it. You can use Crate for free, but functionality is limited. You’ll have to upgrade for more crates and content suggestions and to integrate with Buffer for easy social sharing. Pro plans start at $19 per month. DrumUp says it reduces social media management time by 90%. This tool lets you add your favorite blog feeds – and your own – so you can monitor content in a single place. Based on your requirements, it also finds the most relevant content so you can share it easily. DrumUp includes hashtag recommendations and social analytics and works with multiple social media accounts. DrumUp offers a limited free plan; paid plans start at $15 per month. In our view, Feedly is one of the simplest free content curation software solutions around. With Feedly, you can easily keep up with content from multiple sites or topics, and label your groups of feeds for easy reference. To follow a site, search within Feedly, then add it to your personal Feedly. You can also collect information in special collections called boards, which you can share with others if you have the right account level. Although Feedly’s free for up to 100 sources and 3 feeds, if you want to use and share boards, collate content from unlimited sources, or increase the included social sharing options, you’ll have to upgrade. Paid plans currently start at $5.41 a month. Looking for more content curation tools for video? Huzzazz may be the answer. This app lets you save and organize YouTube and Vimeo playlists and videos to create a video gallery for your website. It’s free to use, but you’ll have to upgrade for their full range of gallery designs, custom video titles and descriptions, HD playback, video search and more. The paid plan starts at $9 per month. InoReader has a wealth of features. Like other content curation tools, it lets you grab and organize content from different online sources. You can also use its content discovery functionality, or follow user-generated content bundles. The app has built-in rules that automatically tag content for easy navigation later. There are no limits to the number of sites you can subscribe to, and content is archived so you can always look at it later. The free version of InoReader is ad-supported; paid plans start from $1.25 per month (no, that’s not a typo). You’ll have to upgrade for combined feeds, customizable dashboards, and more. If you’re looking for content curation tools for WordPress, check out MyCurator. One example of how to use this tool is to curate content around a topic and have it uploaded to your WordPress site, with an image and attribution, for review. That lets you add commentary or publish content digests with just a couple of clicks. The basic WordPress plugin is free, but you can upgrade for more topics and sources, starting at $15 per month. Netvibes is a personal start page, allowing you to pull content in from a variety of sources. You can also connect apps and program them with triggers and actions, similar to a tool like IFTTT. However, the number of connections and triggers is limited in the free version. You’ll have to upgrade for access to additional features, including content search. The pro version of Netvibes starts at $2 per month. Paper.li is one of the best-known content curation tools, as it’s been around for quite a while. The app collects content related to the topics you choose and collates them into an online newspaper. You can add your comments, and share this digest on social media. You can even send out your content digest via email. Many of these customizations are in the pro plan, which costs $9 per month. Pearltrees is a free, ad-supported content curation tool that lets you organize and share content you’re interested in. Additional features such as creating private collections, removing ads, customizing your curations, and offline mobile access, are available with paid plans. These start at $2.99 per month. Pocket, formerly known as ReadItLater, is a site where you can save and tag content via a browser bookmark button. While Pocket collections aren’t public, it can be an excellent way to curate resources for your personal use, then browse by type and tags. Basic functionality is free, though upgrading to Pocket Premium will give you advanced search, suggested tags and a backup of everything you save. Pocket Premium is $4.99 per month. If you’re looking for multi-purpose content curation tools, PublishThis is one option. The tool curates content to help businesses create email newsletters quickly, share relevant content to social media sites, and curate content digests and lists for publication. PublishThis is free to start; paid plans start at $99 per month. Quuu says it’s a different kind of content curation tool. That’s because each piece of curated content is reviewed by a human before it’s cleared for posting to your social media feeds. To use it, you select the topics you’re interested in, decide how many times a day – and when – you want to post to your social profiles, and let Quuu do the rest. You also have the option to manually approve content. You can use Quuu for free, though you’ll have to upgrade to use updates more than once and more social profiles. Paid plans start at $15 per month. Scoop.it has been one of the major content curation tools for some time. It lets you create a topic page and suggests content based on the interests and news sources you specify, such as RSS feeds. Then you can quickly publish those to the page and share it as a resource for your audience. Scoop.it also has a Content Director tool for business, which lets companies curate and share content on a larger scale, as well as a content curation tool for teams. Basic Scoop.it functionality is free, with paid plans starting at $11 per month. The Tweeted Times lets you curate and share a newspaper based on Twitter updates. The free version of the software lets you see the most important updates from friends, or specify the topics you want to be updated about. Content is updated every 2-4 hours. For real-time updates and full customization, you’ll need the paid plan which is $15 per month per paper. According to UpContent, marketers spend 700 million hours a year on content discovery. The company’s goal is to reduce that time significantly. To use UpContent, you create a topic, then the tool finds the most relevant results, which you can read within the app. Filter results by influence or shareability, then select and schedule the best content for sharing on social media. UpContent is free for a single user with a single topic. Pro plans start at $10 per month. Next, let’s look at some content curation tools that don’t have a free plan. Many of these are still pretty affordable. Tailwind is simple to use but packs a punch if you rely on Pinterest and Instagram. You’ll save a ton of time with bulk image upload, drag and drop calendar, multi-board pinning and pin looping, hashtag lists, and more. Plus, you can automatically optimize your Pinterest and Instagram schedules based on when your audience is most likely to be engaged with your posts. And, Tailwind’s analytics make it easy to find out which of your posts are performing and which aren’t so you can adjust your content to reach your audience. You can try Tailwind for free, no credit card required. Bloggers and small businesses can get Tailwind for $9.99/month. Larger brands and agencies are going to pay $799/month and up. BundlePost helps you curate the best content, add hashtags, and schedule it, so that you can keep your social media profiles updated with content relevant to your business in just a few minutes. In addition to pulling in external content via RSS feeds, this automated content curation tool allows you to mix in your own marketing content to create a rich social media experience for your followers. BundlePost starts at $19.99 a month, with a 30-day free trial. Not all content curation tools create digests. Sometimes it’s simply important to quickly discover the best content so you can share it. That’s what Buzzsumo does. By typing in a phrase, you can quickly find the most shared content on any topic, and share it yourself, either within Buzzsumo or via its Buffer integration. Buzzsumo also lets you find the content shared by influencers, and track content created by particular authors. You can also get alerts when new content is published. While there are limited Buzzsumo features available for free, you’ll have to sign up for the full functionality. Buzzsumo also includes trending content tracking. Buzzsumo plans start at $79 per month. Curated lets you create a publication from curated content. There’s just one catch: it’s not automatic; you do the curating. You can capture information for curation via a browser bookmarklet, or send it via email. Where Curated shines is in making it easy to weave this content into a publication that you can share online or with your email subscribers. It also provides reading analytics so you can see which content works best for your audience. Curated is priced at $25 per month. Flockler lets you bring all your content into a single hub, and its content curation website examples look pretty appealing. Some ways to use Flockler include mixing editorial and social content on your website (if you’re looking for content curation tools for WordPress, this could be a good place to start) and creating a wall of user-generated social content to use on your website and elsewhere. You can curate manually or automatically. Flockler’s plans start at 49 euros a month. PostPlanner curates content for you to share on social media based on your industry, interests, and the past performance of similar content. You can also use the site to set up a social media content plan, then plug in that curated content so it automatically posts at the right time. PostPlanner guarantees success with this approach. PostPlanner starts at $3 per month. Social Animal offers a number of ways to work with content. Its content curation tool monitors the keywords, authors, and domains you care about to give you an automatically updated list of the most relevant content. You can see and share this content in the online “mashboard”, and get a daily email summary. Social Animal starts at $49 per month. Triberr brings together a suite of content marketing functions. It works by creating tribes, or groups of people with shared interests who share each others’ content. While this will help you discover and share content that’s likely to interest your audience, Triberr also has a specific content curation tool to automate content discovery and sharing. However, you’ll need to pay $20 a month to use that. Finally, let’s look at some enterprise content curation tools. Many of these are part of larger suites of tools, and in some cases, you’ll have to book a demo before they’ll talk price. Crowdynews analyzes millions of articles and social media posts so it can deliver the best curated content in more than 25 languages. You can create real-time update streams on any topic and keep track of what’s trending. Plus Crowdynews will find social content to match the content you’ve already published, helping you to keep that content up to date and relevant. Curata always appears on any list of content curation tools. This content curation software lets you choose from a number of sources (blogs, news sites, authors, keywords, and more) to collate a list of relevant results. You can add your own commentary and imagery from their dashboard, then share or schedule. Curata says its software improves with use, so content discovered gets more relevant to your needs over time. Kapost includes content curation as part of its B2B marketing platform. You can create collections for internal use, as well as curate content for external sharing. Kapost includes content tagging so you can assign content to the content categories that matter to your business. Kapost starts at $3500 per month. For that you’ll get content production insights, team workflows, matching content to personas, analytics, and much more. Sharpr describes itself as an insight platform, but one of its functions is to serve as an internal content curation tool for businesses. It allows team members – and even suppliers – to add content to its internal database, then it automatically catalogs and summarizes that content. Content can be shared via email newsletters, a digital newsroom, or externally via a number of apps. Storyful curates user-generated content to help brands tell better stories that engage their customers. This includes a library of exclusive social video content which Storyful users can license. Tagboard lets you combine user-generated social content with your own content to create displays for web, mobile, live video and venue display screens. Tagboard pulls content from Snapchat, Facebook, Twitter, Instagram and elsewhere. You can also integrate polls and contests. Tagboard starts at $500 per event. Tint is a multi-purpose tool, including both content aggregation and content curation. Its content curation tool pulls content from more than 15 channels, helping you to identify and share the most engaging content with your audience. Over time, it learns which content you like best, and its recommendations get even better, says Tint. The price is available on application, though using Tint for a single event starts at $300 per day. Trap.it curates content to help with social selling, so sales reps can wow their prospects by sharing content they’re guaranteed to like and trust. The platform also makes it easy to create an employee advocacy program where employees can easily share and amplify the reach of company content. WayWire is another online video curation app that will automatically identify videos matching your keywords or interests and let you know as soon as new content is published. It allows you to manage both your own and external video content in a single dashboard and provides video analytics so you can tweak your strategy as needed. That’s it! Now that you have all these content curation tools to choose from, use them to beef up your social media and email marketing strategy. You can also automate your marketing even further with these insanely useful content marketing tools. And follow us on Facebook and Twitter for more tips, guides, and useful lists. Thanks a lot for including Anders Pink in your excellent list Sharon! we’re honoured to be there among all these great tools. Proof that curation is certainly an active space right now. I wanted to mention that we also have an API for integration into other platforms, lots of our clients and partners use it to bring curated content into their other platforms and apps on an enterprise level. Thanks for article. Very helpful for newbie.